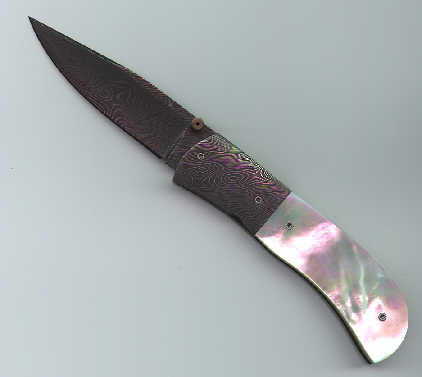 Chuck Hawes nickel damascus blade and bolsters. 416 stainless spacer and anodized gold titanium liners. Presentation grade pearl.